Vehicles today are getting smaller and many scooter and wheelchairs are getting bigger. These two competing trends challenged the engineers at Bruno to design a lift that was agile enough to work in the smaller spaces yet powerful enough to lift the heavier units. The VSL-6900 Curb-Sider® is their answer. 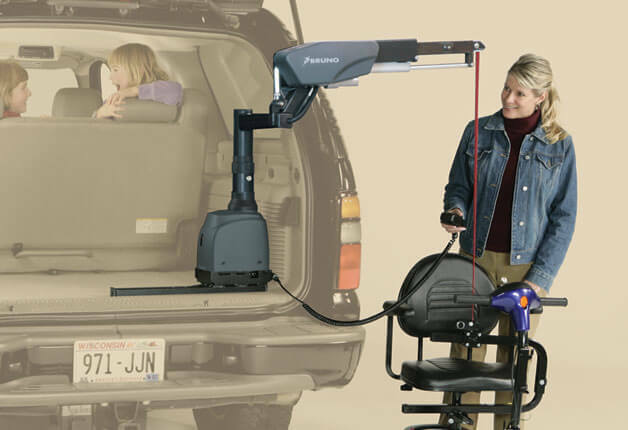 The industry’s first lift with a powered telescoping lift head, to load a mobility device it smoothly pulls the mobility device closer to mast to maximize the interior space of the vehicle. 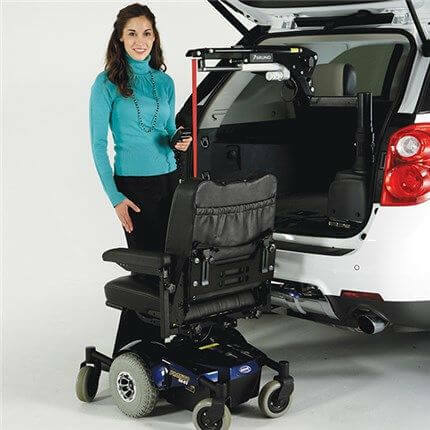 Then, to unload, the VSL-6900 pushes the lift head out to allow the user ample space to lower their scooter or power chair at a safe distance from the bumper or side. When expertly installed by MobilityWorks’ certified technicians, the 400 pound capacity solid steel lift makes certain there is minimal flex to maximize the use of every valuable inch available.